Here’s a satellite shot of the Mesilla plaza. 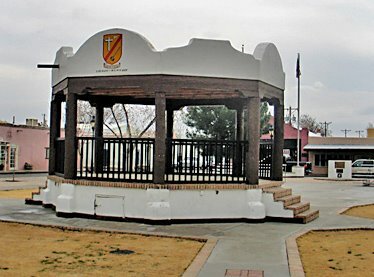 You can see clearly the octagonal bandstand located in the center of the plaza. 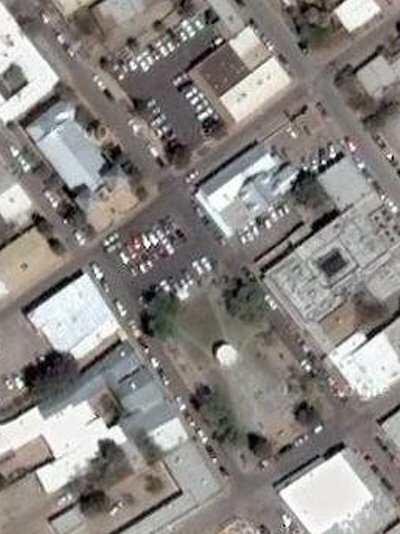 San Ablino is located north of the plaza, just above the three rows of parking cars.